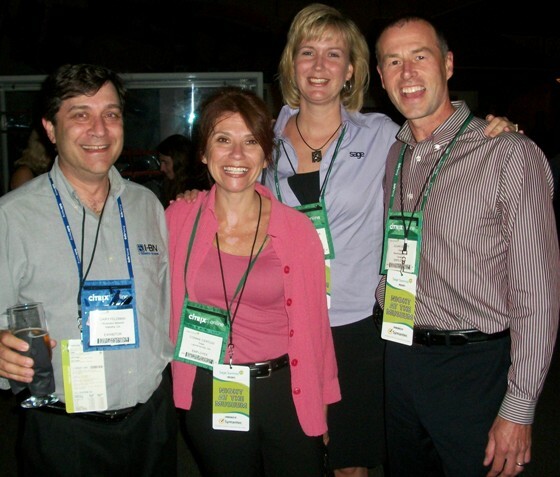 There has been much discussion about the value of attending the Sage Summit 2012 Conference. I am one of those who have found Conferences to provide me with great value and I’ve learned a great amount of useable information. The technology industry changes daily and there’s no way to know about those changes if we don’t talk to the source. You can find the source(s) and other partners who have utilized those changes very successfully by attending events such as the new and improved Sage Summit. Look at the business partners who consistently make the Top 10 list. Go to their website and see what they’re doing that you’re not. It’s probably a safe wager that they’ve been involved in Summit, BPAC membership, etc. It’s time to be accountable to ourselves for our failures or successes. It’s time to stop blaming others when we fail. There has been a shift at Sage to offer more transparency and seeing the Management attend different social events & the Trade Show is a testament to this new shift. Don’t be surprised to find yourself engaged in open and honest dialogues with top management. How do you put a price tag on product information you receive at Summit? What about face time with Sage executives? Truth be told, you can’t put a price tag on these items. The sessions alone that Sage is offering this year are numerous in count, while covering all Sage products, upgrades, changes and of course Social Media. I have spoke to BP’s who have concerns that they have never “pulled” any new business from attending Summit and other conferences occasionally or even those who go each year. Then there’s the camp that has bought booth space, collected business cards & found that most of those cards belonged to other BP’s & not potential new deal opportunities. Where’s the ROI they ask? First, if you’re heading off to Summit with the sole intent of closing deals then you’re going to be disappointed. It’s kind of like going to a Barnum & Bailey Circus expecting Shakespeare; or going on vacation to Northern Minnesota in January wearing shorts, flip flops & sun tan lotion looking for a sun tan. You’re going to be disappointed by unrealistic expectations. Unfortunately most companies don’t look at non revenue generating items as having any value. Unless there’s a dollar amount involved most BP’s don’t “get it.” To the partners who don’t get it, there are three questions you need to ask yourself. What am I adding to the success of my business? Location, Location, Location. It’s the most important axiom in real estate. An axiom is a universally accepted principle or rule that requires no proof. Thus the setting for this year’s Inaugural Sage Summit 2011 where you will get to experience many firsts for Sage’s Premiere Conference. Despite it teeming population of politicians Washington D.C. remains a can’t miss city. The history of the country is incomparable & it certainly has lots to offer in the way of museums, opera, major theatres all abound in great numbers offering the best in entertainment value as most if not all the museums don’t charge an admission fee. 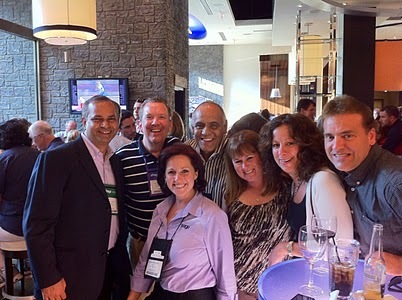 This year’s National Conference has changed its format to include both Sage Partners, Vendors and now Sage customers. This should prove to be a winning combination. I’ve had the privilege to interact via e-mail with Suzanne Spear who is Sage’s Director of Events and members of her team that include Danielle Cote, VP, Event Marketing @ Sage. They have been working on this year’s conference for at least the past year to make sure that we all walk away better educated by a plethora of breakout sessions, including many interactive ones. 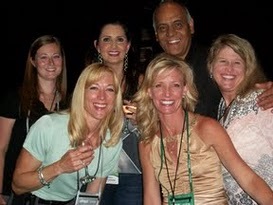 Please make sure that if you see them or any member of their team at the Conference to thank them for all of their hard work that they’ve put into Sage Summit 2011. In addition to the breakout sessions the Keynote Speakers should be a big hit. 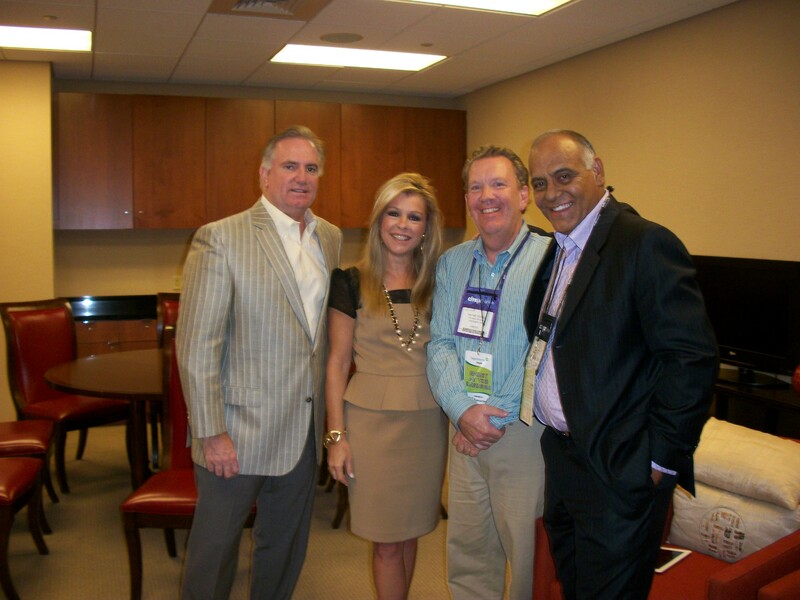 I’m looking forward to Wednesday afternoon’s Keynote Speakers Sean and Leigh Anne Tuohy. They are the Memphis couple who took a homeless teenager into their home and treated him like their own. 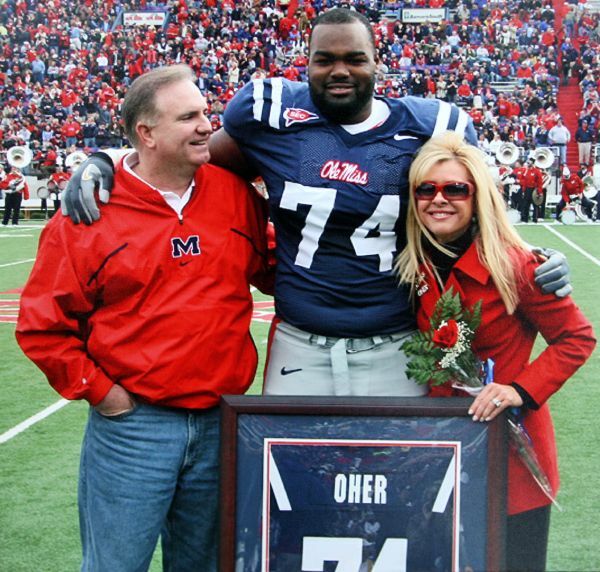 That youngster is Michael Oher who went from living on the streets, to living with the entire Tuohy family, to being picked in the 1st round of the 2009 NFL Draft by the Baltimore Ravens. If you haven’t a clue of what I speak watch the movie “Blindside.” It chronicles Michael’s story in a very compassionate way and reminds me that no matter what obstacles may be put in front of me I can always succeed if I want something bad enough even though the deck is stacked high against me. On Wednesday evening the site for a Dinner Reception will be at the Smithsonian National Air & Space Museum. It promises for great evening in a relaxed environment and fun. You have to show up for the Fire and Ice Partner Party on Monday from 7:30 to 11:00 This year partner appreciation party will offer live music, games, great food and drink, plus other surprises. You won’t want to miss one-of-a-kind performances by talented musicians from all across the Sage partner community, who are going to rock out together at the party! I could go on about what is shaping up for an incredible event, but simply put don’t miss out on attending. On a personal note I love going to the National Conference and making new friends and catching up with old ones. I get to spend time with some of my favorite Sage people. 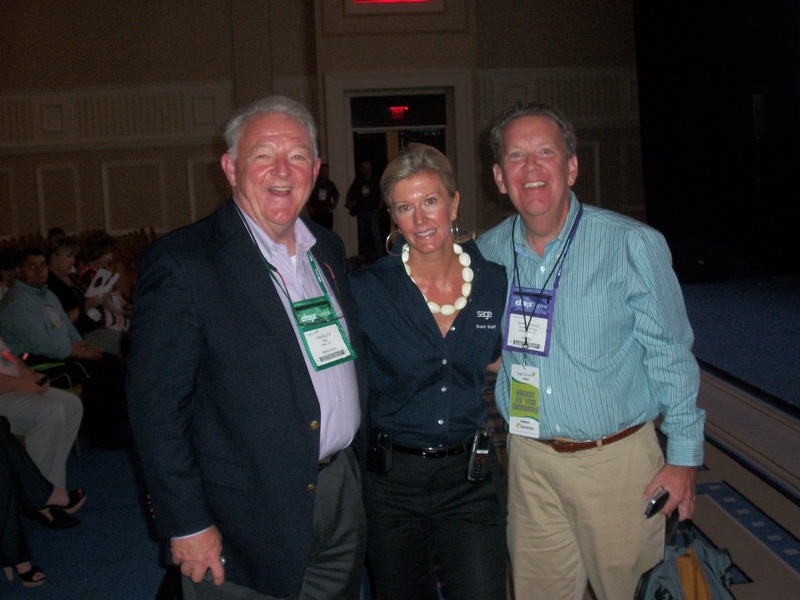 One of my goals early on was to meet this partner who is highly visible with his online presence, Wayne Schulz. He and I now talk each week about all things Sage and I consider Wayne a good friend. 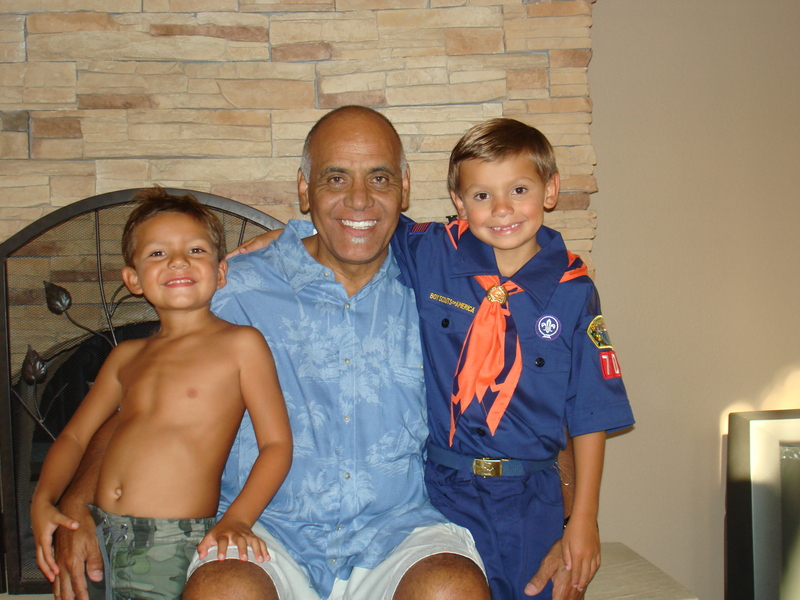 If it weren’t for Insights I would have never had the opportunity to meet him. I also try my best to get to each of Ed Kless’s sessions as they’re always jam packed with great information. I hope to see each of you there.